Today marks the 17th anniversary of the Imia crisis, a showdown between Greece and Turkey over a couple small islets in the Aegean that brought the two countries to the brink of war. Though armed conflict was ultimately averted, the crisis set the tone for relations between Greece, Turkey and the United States and did little to provide stability and certainty in the Aegean. 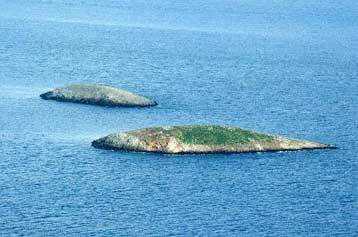 Under international law, the islets are undeniably Greek. Yet Turkey has repeatedly disputed Greek sovereignty over these islets – along with other internationally-recognized and historically Greek islands – in unabashed attempts to extend Turkish governance into the Aegean, often threatening military action. The crisis began on Christmas day in Imia in 1995, when a Turkish ship was wrecked on the rocky coast of the island. Although the ship was in Greek territorial waters, Turkish authorities denied the need for Greek assistance in salvaging the ship, claiming that the islet actually lay in Turkish territorial waters. Eventually, a Greek tugboat towed the ship to Turkey. Days later, Turkey openly made claims to Greek territory by declaring to the Greek Embassy in Ankara that the islet belonged to Turkey. Greece flatly rejected the Turkish claims, citing international agreements and treaties that supported Greece’s sovereignty over the islets. On January 20, 1996, a Greek magazine published a story about the controversy surrounding Imia. On January 26th, the mayor of neighboring Greek island Kalimnos and a priest went to the island and hoisted a Greek flag. Turkish journalists arrived on the islet a few days later, taking down the Greek flag and replacing it with a Turkish flag. Within twenty-four hours, members of the Greek navy replaced the flag with a Greek flag. Meanwhile, Kostas Simitis had just assumed the office of Prime Minister in Greece the day before, fueling speculation that Turkey was “testing” the new Greek government. By the 31st of January, tensions reached a climax, with both Greek and Turkish military forces surrounding the islets, ready to confront the other side. U.S. envoy Richard Holbrooke intervened in the matter, negotiating a drawdown of forces and preventing war. Both sides backed off and agreed to return to the “status quo ante” concerning the islets. Averting war, however, came at a price. Turkey thereafter took the position that the islets and other islands in the Aegean fall under a “grey zone,” from there drawing justification for asserting territorial claims to islands and waters that are historically, and legally Greek. To this day, Turkey continues to make such claims in the Aegean, a region where hydrocarbons have been discovered. The Turkish government continues to give no heed to international laws in challenging Greece – and the Republic of Cyprus’ – Exclusive Economic Zones. On this anniversary, I interviewed Michail Ignatiou, State Department correspondent for several Greek media outlets and author of Imia – which revealed famously-cryptic telegrams between U.S. and Greek government officials during the crisis. On today’s anniversary of the Imia crisis, how close are we to a similar crisis breaking out? It is something that we cannot answer with certainty. Greece is most definitely not taking any action that would provoke a crisis. Turkish leaders, however, have become unpredictable and dangerous, so nothing is out of the question. Recently Mr. Erdogan and Mr. Davutoglu promised countermeasures if Greece declared its Exclusive Economic Zone. We shouldn’t forget that the Turkish Parliament’s causus belli against Greece’s declaration of an EEZ still stands. I believe that they’re threatening [Greece] with the hope that Mr. Samaras will retreat on the issue of the EEZ. It is difficult for Turkey to start a war with Greece given the countless problems it has – Syria, Kurdistan as an open bleeding wound, tense relations with Israel. Do you believe that Imia was just a situation that got out of control, or was it a contrived crisis by Turkey? As you may already know, it began with the mayor of Kalimnos hoisting a Greek flag, and then continued with Turkish journalists and Greek journalists competing to raise flags. We cannot say for sure that the Turkish journalists acted in concert with the Turkish government, but we must not forget that Turkey always questioned Greek governance on those islets and so took advantage of the opportunity it was given. Do you think Turkey was testing the new Simitis government? If yes, do we have to worry about similar tests when the new government in Cyprus comes in, or if there is another change in government in Greece (especially if the inexperienced leadership of SYRIZA comes to power)? As the crisis developed, it was obvious that Turkey provoked the crisis, considering that Mr. Simitis had just recently taken office and even his control over his own ministers was questionable. This does not excuse Mr. Simitis for rushing to “resolve” the issue with an agreement which was against the long term interests of Greece. Anything is possible if SYRIZA is elected and there is a new president in Cyprus at the same time. Ankara typically tries to take advantage of perceived weaknesses and periods of transition. This time, the flashpoint will be energy in the Mediterranean. However, I believe that the Cyprus-Israel agreement protects Cyprus. Let us hope that Mr. Samaras will take example from the Cypriots and make pacts with strong allies. How do you evaluate the U.S. role – and specifically the role of Richard Holbrooke – in defusing the crisis? I believe that the U.S. and especially Richard Holbrooke prevented a war from breaking out. Had the U.S. and Holbrooke not intervened – Europe was not proactive at all – the high tensions could have led to a mistake and a conflict would have broken out. Neither side would have gained anything. However, the resolution was bad for Greek interests and “greyed-out” the Aegean. Did Simitis’ famous “thank you to the U.S. government” set the tone for Greek-U.S. relations to follow? Definitely. He became their favorite Greek politician. After Imia, they immediately invited him to the White House and supported him. Of course, they led him to Madrid in June 1997 and forced him to sign a joint agreement with Demirel, which also did not help Greece in the issues of the Aegean. Generally, they had very good relations with him and the two governments worked together in the “creation” of the Annan plan for Cyprus. Questions about the telegrams: What were they saying? How much of a struggle was it for you to get these documents? These documents answer the question of what happened with the flag. From the documents, it is discovered that Mr. Pangalos promised to take it down. He said that the wind will blow it away and we will not replace it. It was the wrong decision, and Turkey took advantage of it. In the documents, anyone can see how the crisis started and how it ended, and what America’s stance was at the time, which we did not know for certain until 2009. It was difficult to find them but we worked hard and were patient. We made our case invoking the Freedom of Information Act and we won. I consider this research among the best in the world. When I would say I was looking for the documents concerning Imia, people would tell me that I was crazy. Yet, we believed in ourselves and it helped that the Americans do not have any hang ups when it comes to releasing their documents. If they locate them, they give them to you. What does the Imia crisis teach us about the role that Greek-Americans can play? Was the community a “player” in this situation? Greek-Americans played a very positive role. They mobilized quickly and came to Washington and met with President Clinton. I believe that they were able to change some things. Their success is due to the fact that they were all united and used the same talking points. George Stephanopoulos helped them considerably, since he worked at the White House. It was an opportunity for everyone in Greece to realize that Greek-Americans had a lot of power in 1996. When is your book coming out in English? My book is practically ready. We are working on releasing it in English soon. We are in the final stages of the editing process and I look forward to announcing a release date.